Kartell Masters modern armchair by Philippe Starck. 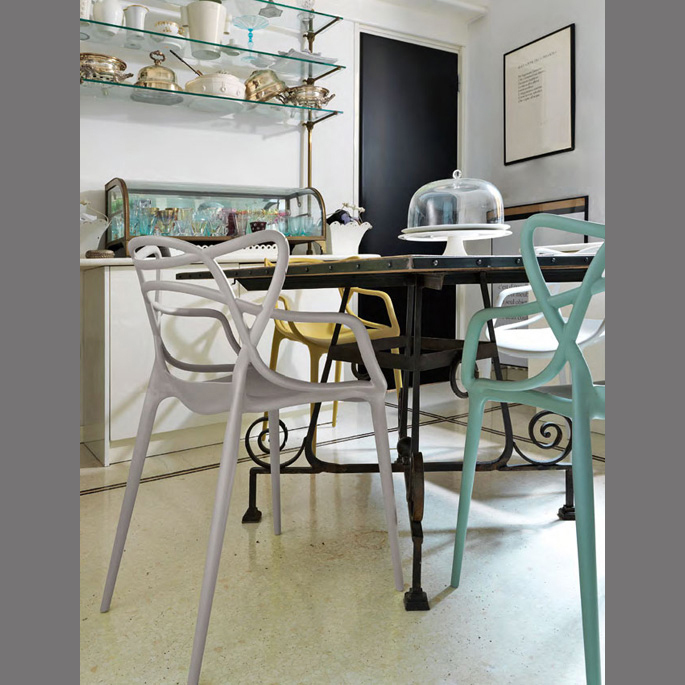 The Masters Chair is one of our favorite design chairs. 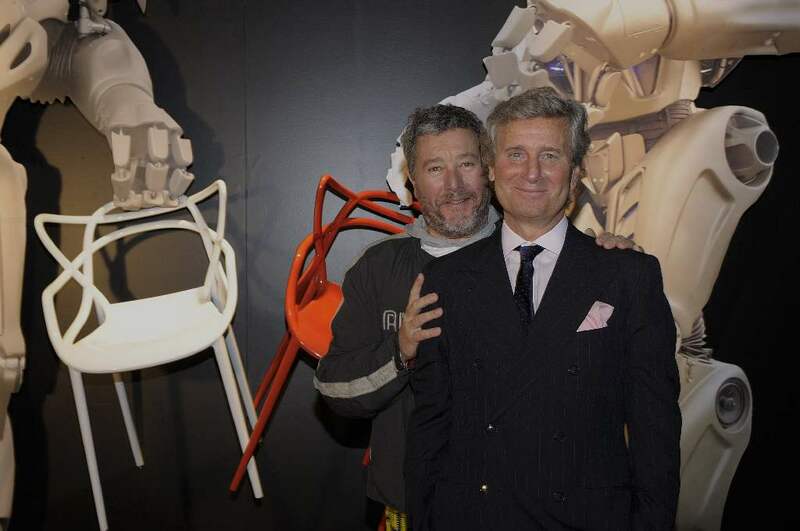 A brilliant new armchair by the undisputed master of design, Philippe Starck! 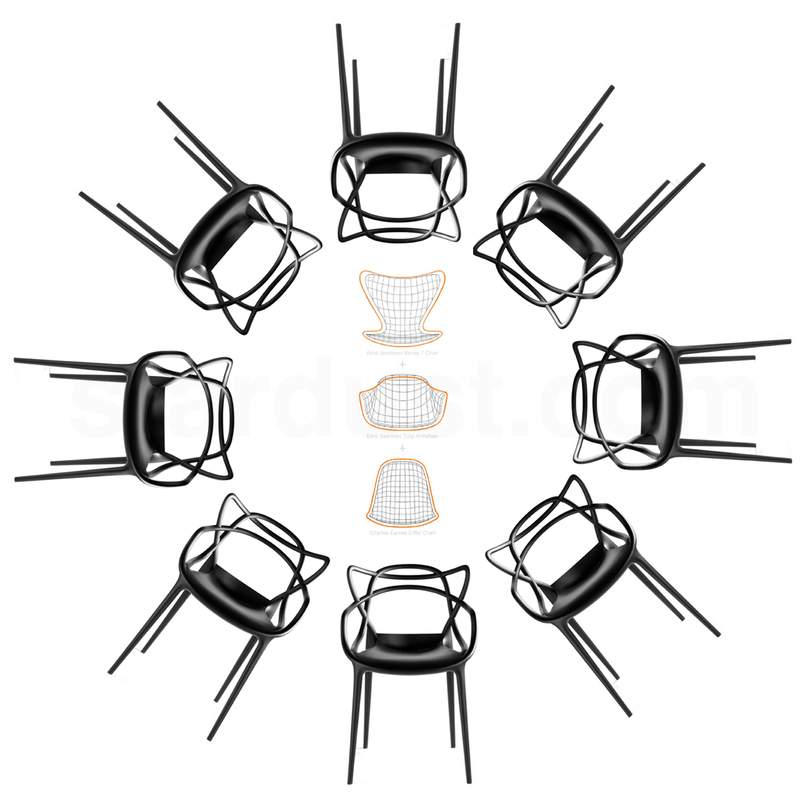 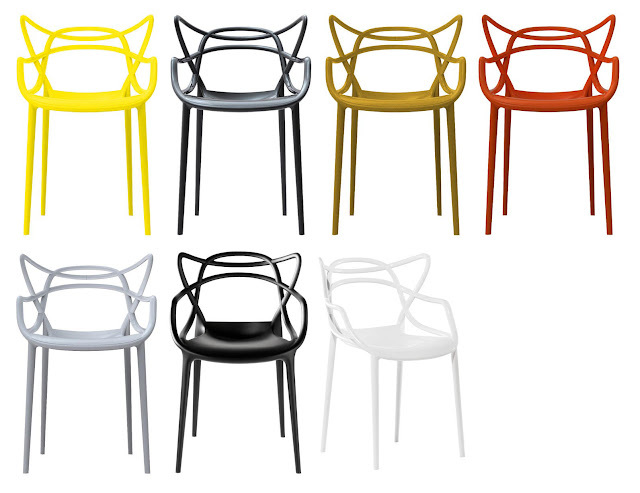 The Masters chair by Philippe Starck is a unique play on the classic icons of 20th century furniture design. 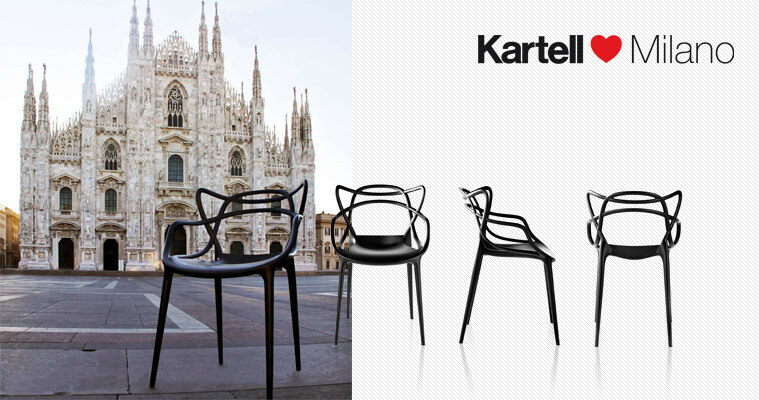 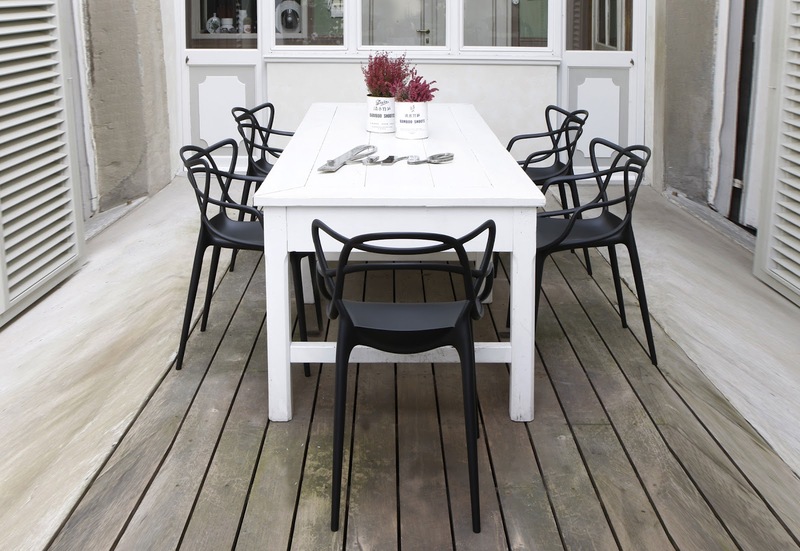 The Masters chair was designed by Philippe Starck for Kartell in Italy. 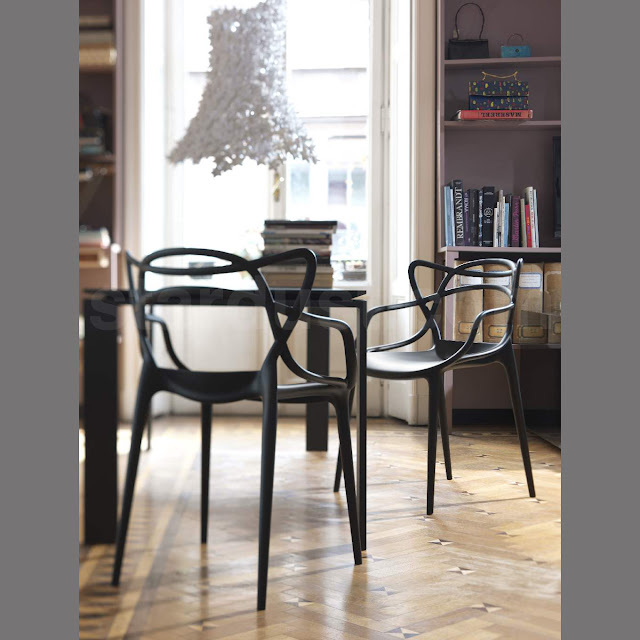 The Masters chair is an ode to the three design masters from Philippe Starck: respectively Arne Jacobsen, Eero Saarinen and Charles Eames. "We weren't born just today. 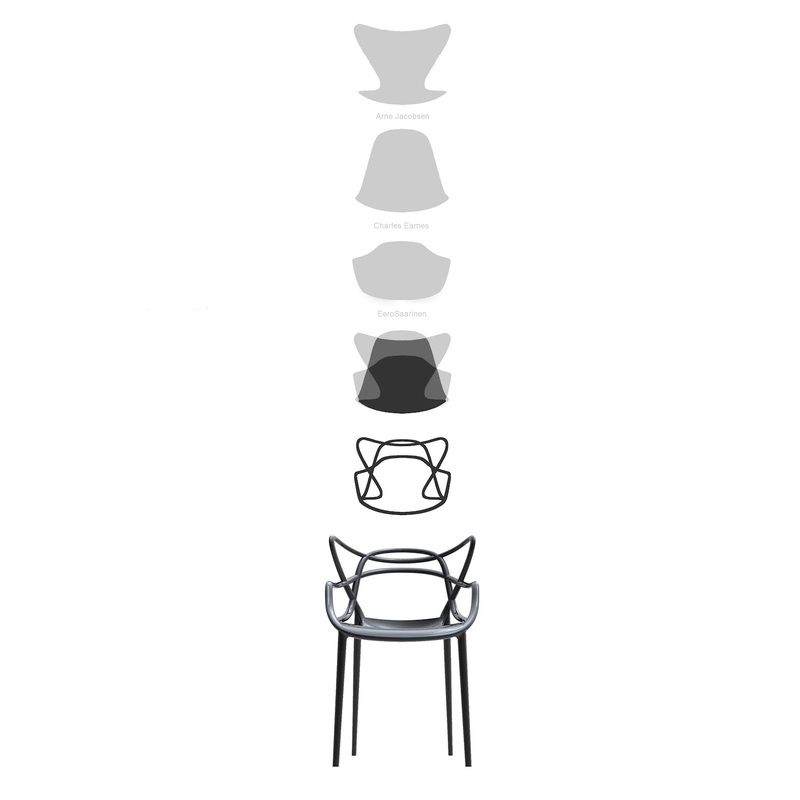 There have been masters before us. 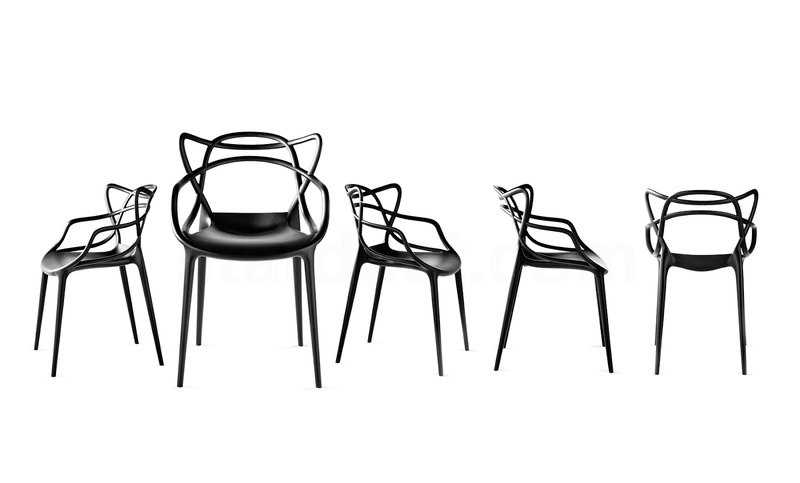 The Masters chair brings to mind the lines of three great masters and three great masterpieces. 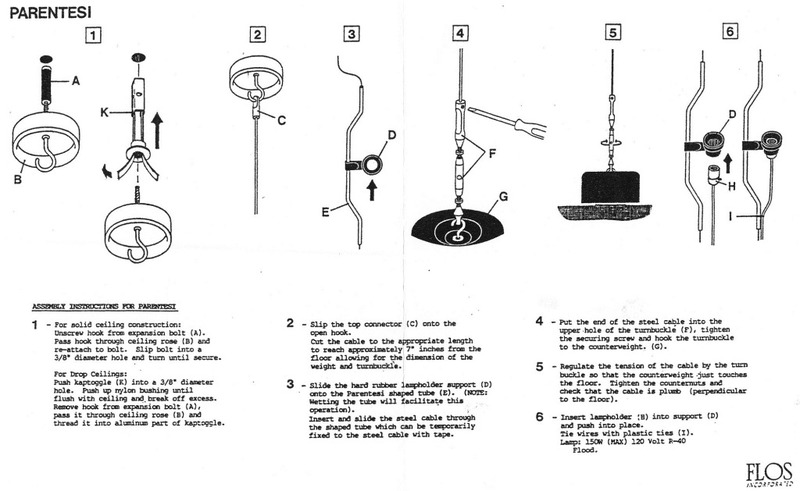 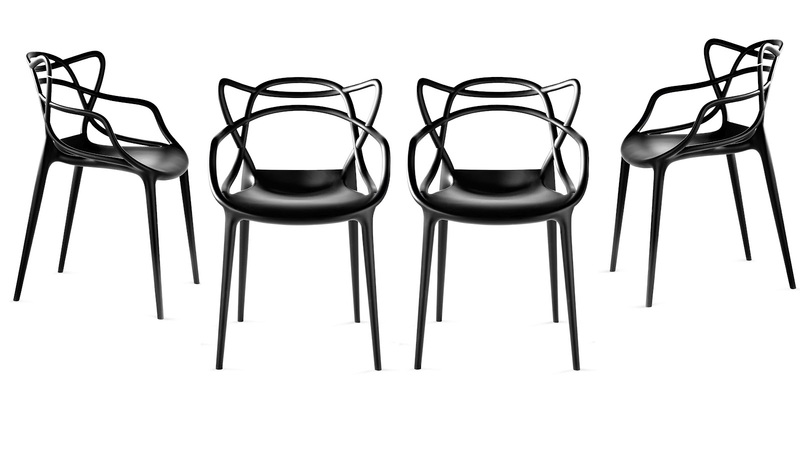 Putting them all together, they create a new product, a new project, a reflection of our new society." (Philippe Starck) The Philippe Starck Masters chair is made in Italy by Kartell. A brilliant modern chair that can be used as a dining room chair, home office chair or accent chair in the corner of the living room. It is pretty comfortable too; the Masters Chair is the perfect blend of modern design and functionality! 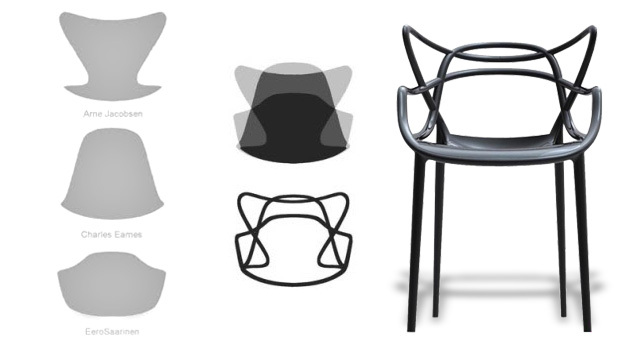 Imagine that the outlines of the three most famous chairs in contemporary design weave themselves together in a play of sinuous lines.... their names and designs of the three chairs are....Arne Jacobsen for "Series 7 Chair" ; Eero Saarinen for "Tulip Armchair" ; Charles Eames for "Eiffel Chair". 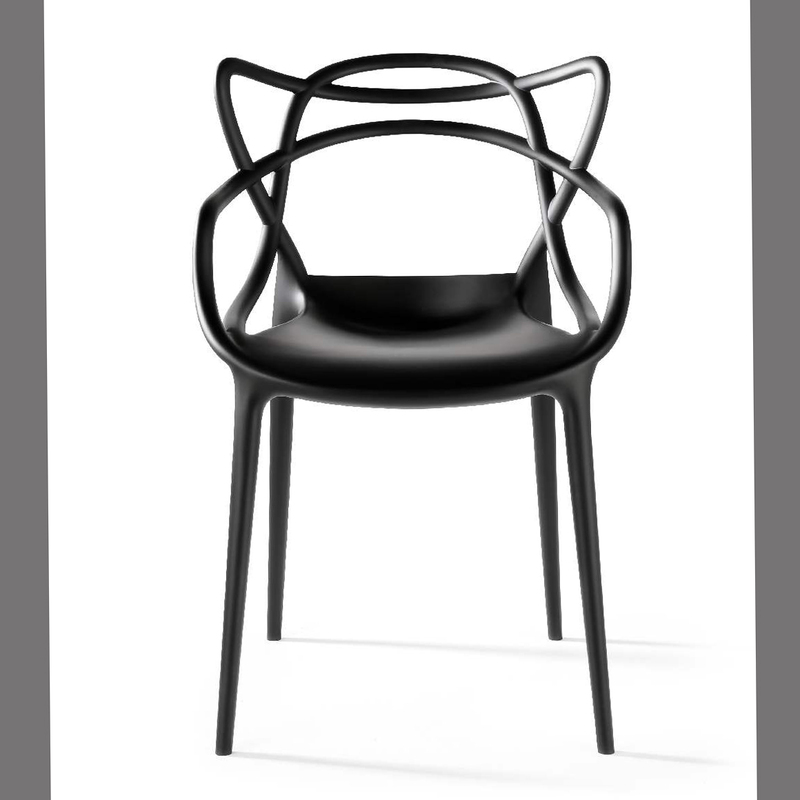 There you have Masters, the top stylist chair made of polycarbonate. 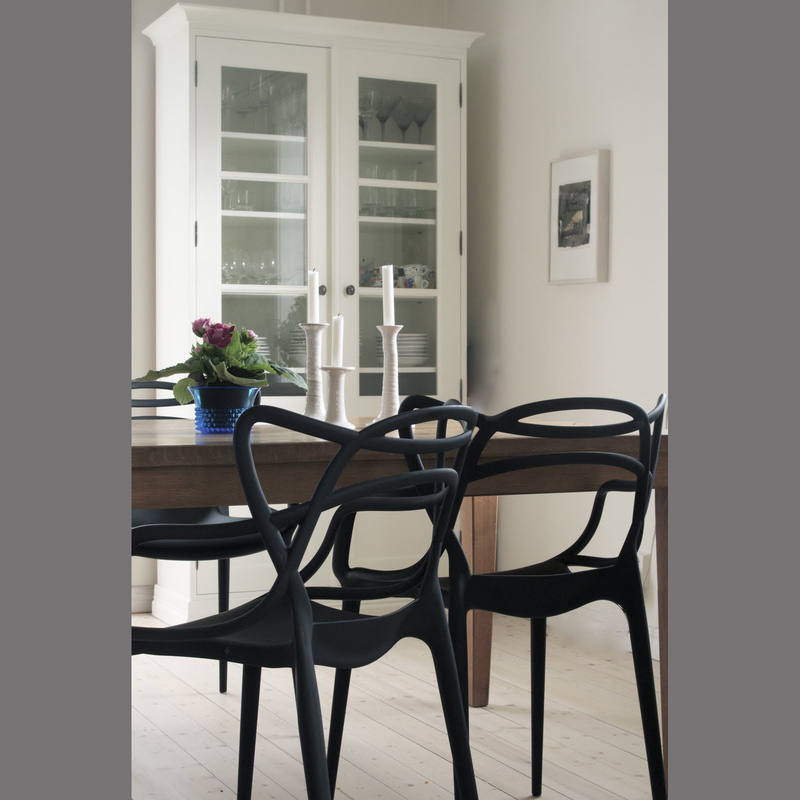 Supported on four slender legs, the Masters chair is roomy and comfortable. 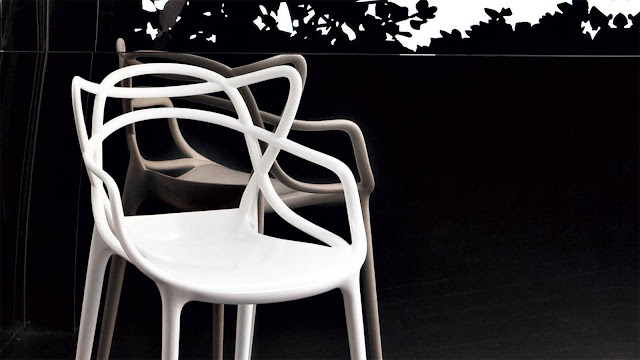 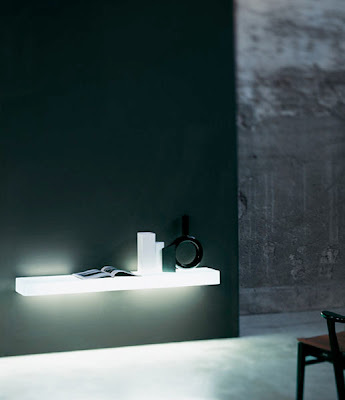 Its distinctiveness is, of course, in the back which is characterized by the solidity and void created by the meetings of curving lines of the three different backs which flow down and join together along the perimeter of the chair. 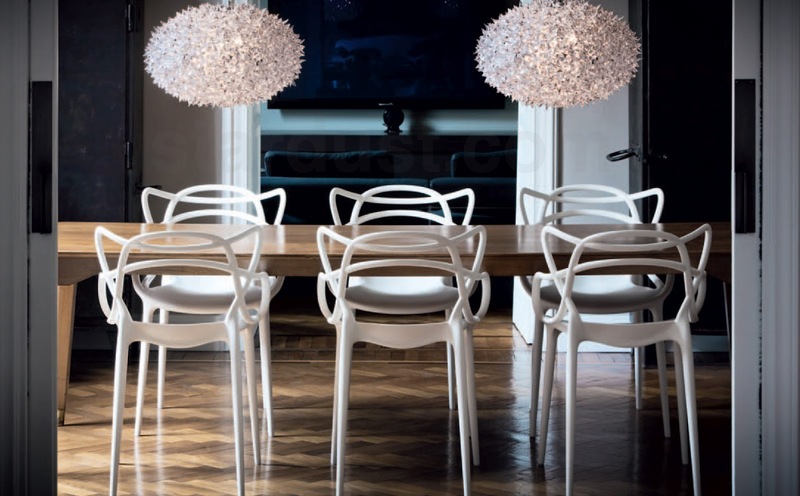 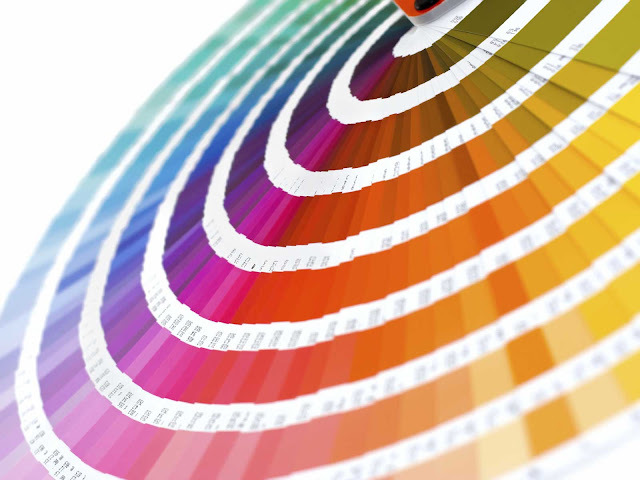 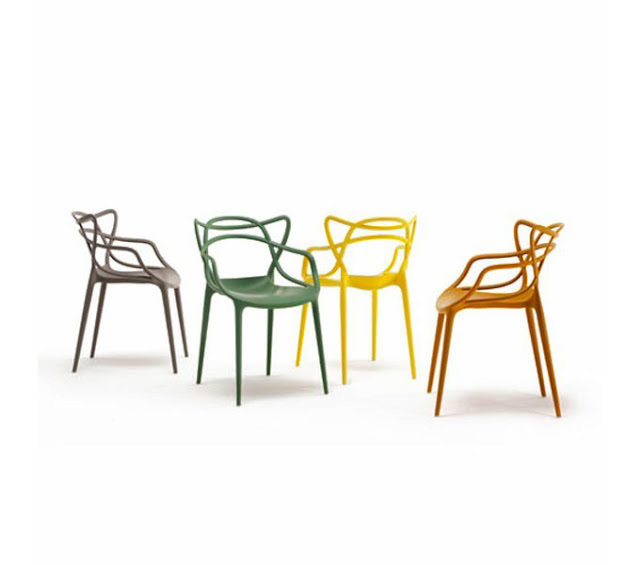 The Kartell Masters chairs comes in seven color versions.